Elk Falls Pottery Works was established in 1976 when Steve and Jane Fry returned to Kansas after working for several years in the living history village of Westville, near Lumpkin, Georgia. They settled in the small rural community of Elk Falls near a beautiful waterfall in southeast Kansas. Work began building a kiln and shop, digging and processing native KS clays, planting a garden, raising goats and starting a family. 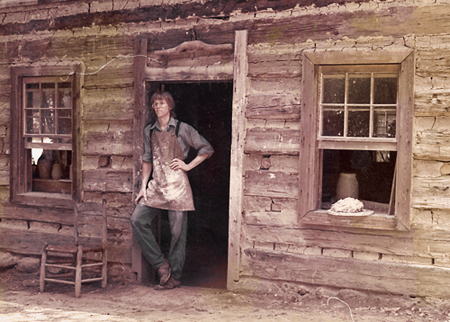 Their work with traditional pottery in Georgia gave the Frys an appreciation for the early American stoneware which has been an influence in their work to this day. The business has grown, but remains a small family enterprise providing the kind of “home-grown” lifestyle the Frys have come to love, while maintaining a high quality with that human touch found only in things made by hand.